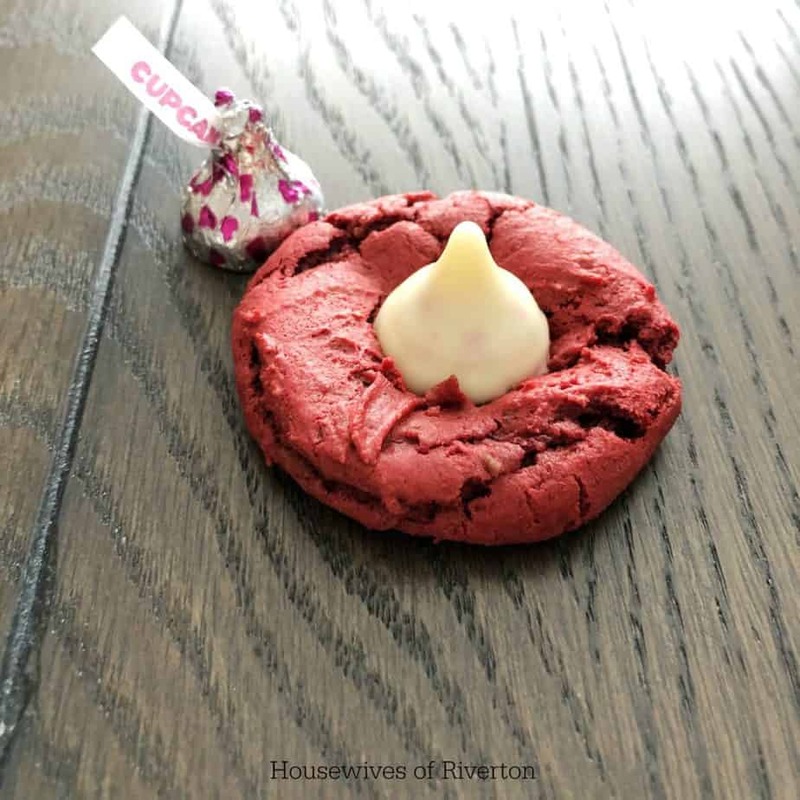 Red Velvet Blossom Cookies made with cake batter are a fun, easy cookie with only 3 ingredients. When you top them with cupcake flavored kisses, it makes them a great Valentine treat! Does anyone else have kids who beg for dessert every night? I’m a meanie mom and we only have dessert once or twice a week, but yet my kids ask every single night. We almost always have cake mix on hand so when I’m feeling extra nice, we make some up quickly and the kids are over the moon happy about it. 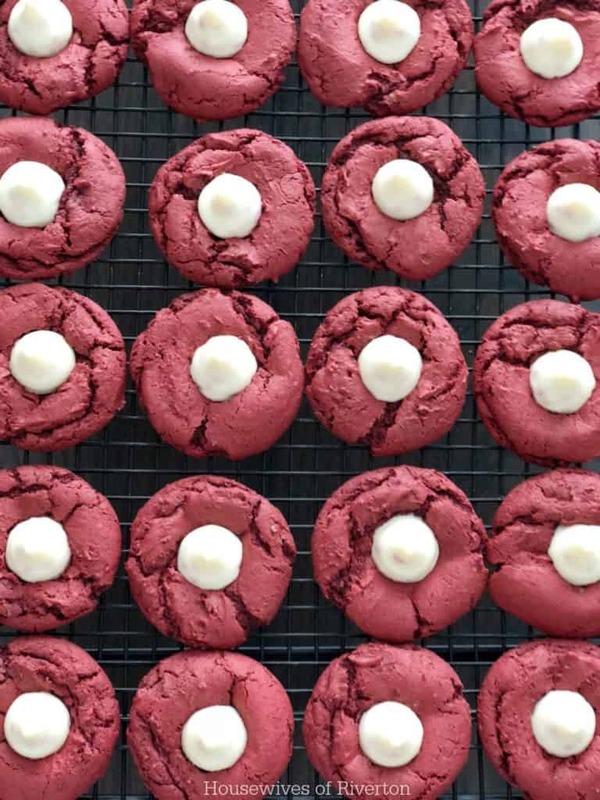 The great thing about these Red Velvet Blossom Cookies is that one batch makes a lot so we have left overs to put in lunches too! Preheat oven to 350°F. Line a baking sheet with parchment paper, set aside. Mix together cake mix, eggs, and oil with a fork. Using a 1 oz scoop, scoop out your cookie dough. Bake at 350°F for 6-8 mins. When cookies are done, top with the kiss and let cool before eating. Another great thing about these cookies is that your kids will be more than happy to help you unwrap the kisses and put them on top of the cookies for you. Nothing like getting everyone in the kitchen helping out with baking! What is your favorite Valentine treat that you look forward to every year? Tell us in comments and if you have a link to a recipe be sure to share that with us so we can give it a try!